Private 2nd floor Veranda at Ventana Condominiums condo overlooking park-like ground in the gated Catalina Foothills community of Veranda At Ventana. 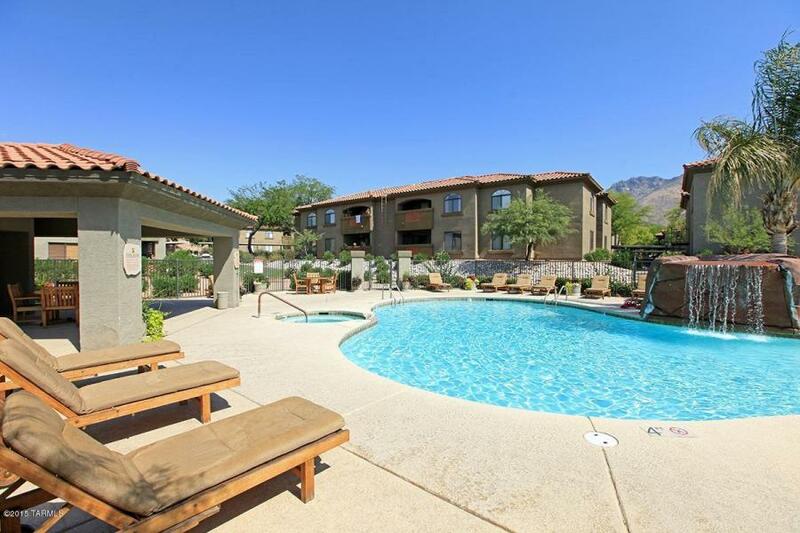 This spacious condo features an open floor plan, North facing covered patio with mountain views, ceramic tile flooring, washer / dryer, water, sewer & trash included in rent and resort style amenities. The Veranda At Ventana condos include 2 community pools & spas, exercise facility, clubhouse, bbq areas, ramadas and a convenient location walking distance to shopping & restaurants.